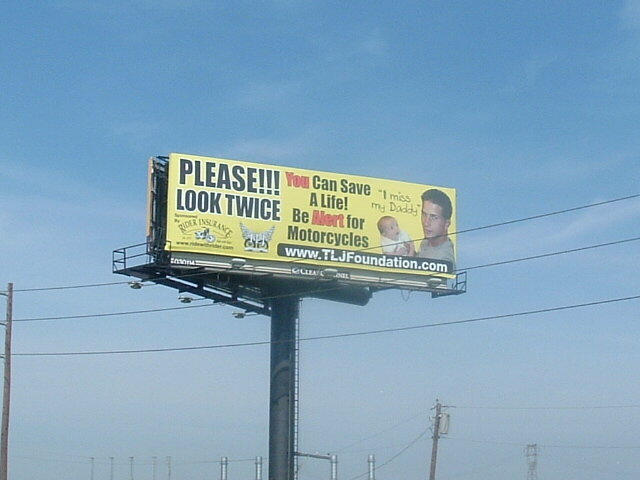 The TLJFoundation raises funds to continue the billboard campaign...Look Twice...YOU can save a life...be alert for motorcycles. 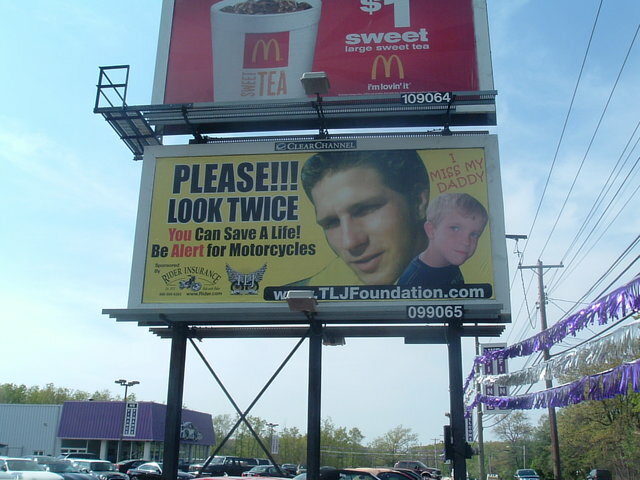 The hope is to be able to carry the campaign into other states thru the generous donation of boards by Clear Channel outdoor..and to encourage sponsorship from companies dedicated to "safety and awareness". Only ONE day left....and just need ONE more signer!! !